Create clean, professional, and engaging business reports, from proposals to whitepapers, with Microsoft Word. Gini Courter begins this course with advice for structuring your report from scratch and formatting with Word’s built-in themes and styles. 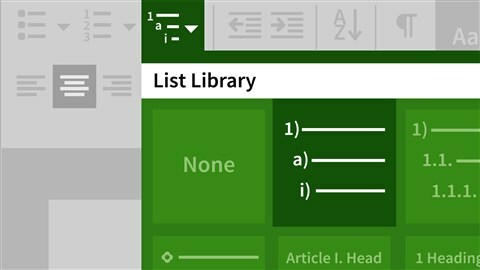 Next, Gini shows how to incorporate exhibits such as tables, illustrations, and charts—including SmartArt graphics and elements imported from other Office apps, such as Excel and PowerPoint. Gini also covers sections, page numbers, headers and footers, and elements such as the title page, table of contents, and index. Learn the right way to incorporate references (footnotes and endnotes) to cite information from outside sources. Finally, Gini explains how to finalize your report with Word’s proofing tools.